I purchased this for bicycle use, running use and small boat use. My only functional desires are to have an odometer, a speedometer, be able to mark points, and to see a map of where I am. This meets these needs, but it does not excel in any of my intended uses. The biggest flaw I’ve found is the distance accuracy when running. I’m training for a marathon race, and I am running increasingly long distances. 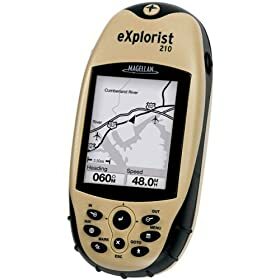 I often plan my routes using […] , and it seemed that my explorist-reported mileage was consistently short, by as much as 10%. So on my last run, I covered a measured and marked 3 mile stretch on a bicycle trail, and sure enough, the explorist assessed the distance as 2.7 miles. Even more curious: I used the device on a bicycle ride, and the unit recorded an accurate distance of 11 miles, but when I used the device while running the same route, it measured only 10.1 miles. My other pet peeve about this is that although the data screens are quite customizable, it is not possible to configure a screen to display both the distance covered and current speed at the same time. So when I’m biking, I have to hit the tiny buttons and switch screens often. 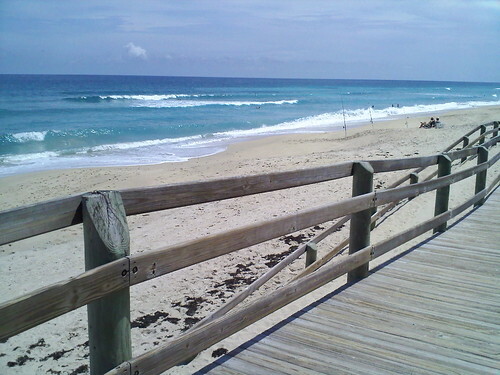 This pretty shot from Melbourne Beach on Sunday. I stopped on my way back from Long Point park. 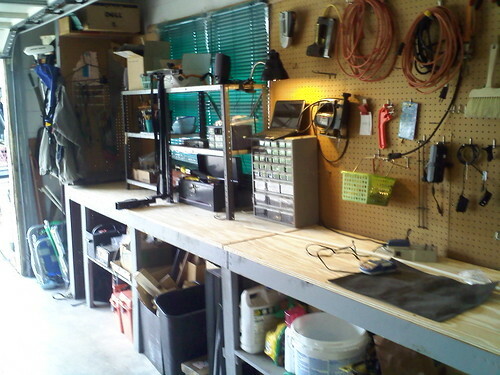 10 years ago we moved into the Little John house, and there was a workbench in the garage. The top was made of particle board which had begun to deteriorate over the last few years. 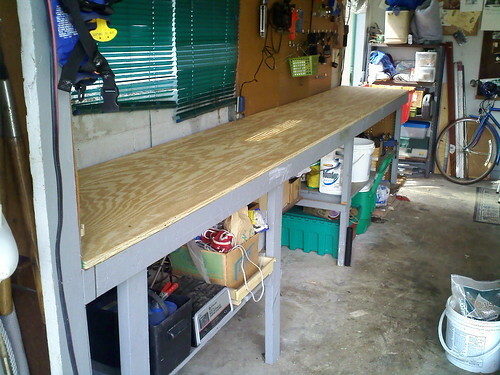 So for labor day, I cleaned everything up, organized the 10 years of junk that had accumulated, and bought a $34 sheet of plywood and replaced the top. Quite nice if I do say so myself. note to self: don’t ever build anything with particle board.